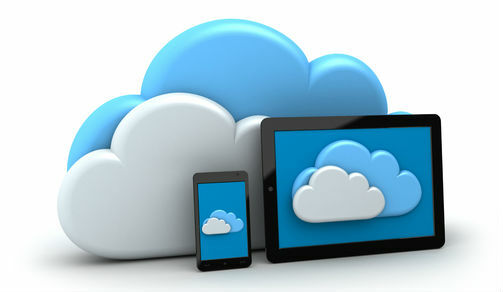 Would you want to upload files with confidential information unencrypted to cloud storage services? If you care about security and privacy you wouldn’t. What can you do about it? A good approach would to encrypt your files using a local tool like ccrypt and then upload it to the cloud. However, you may not have your laptop with you all the time. InstantCryptor is a webapp to solve this problem. Dropbox Uploader is a bash script to access your Dropbox cloud storage. It is quite handy for people who don’t want keep all their files synced locally all the time. Perhaps the best advantage is a user can run the script as a cron job periodically. The script uses curl which is available on all major Linux distros. It uses API’s exposed by Dropbox. Even authentication is done using Dropbox API so the credentials are not locally. Users can do much more than just upload, download, delete or list files with Dropbox Uploader. The author has also written an interactive Dropbox Shell based on the Dropbox Uploader script. A configuration wizard will take you through the next steps. The configuration is saved in ~/.dropbox_uploader. During selecting the permissions, give permission to all Dropbox files. Otherwise you’ll end up inside the App folder. Once you are inside the shell, run help for list of supported commands. $ dropbox_uploader.sh upload "My File.txt" "My File 2.txt"
$ dropbox_uploader.sh share "My File.txt"
Use the -f option to specify the full config file path. For security, do not use the same config file for multiple users. The easiest way to install rclone is to download the binary for your system from here. At the end of the process rclone will generate a configuration file at ~/.rclone.conf. While it is possible to add your username and password to a plaintext configuration file, that might reveal your account information. The advisable way is to use the cmdline. Are you a Google Drive user fond of the Linux backup utility rsync? Developer Craig Phillips is working on a utility that closely mimics the rsync lingo – GSync. The tool is written in python and runs from the cmdline like rsync. Craig intends to offer the functional implementation of rsync and as well as the same features, enabled or disabled through a similar interface of cmdline options. Note that Grive is a similar utility but the problem with the preloading design of Grive is it tends to fail for larger files. GSync on the other hand tries to process directories depth first and sequentially in order to allow synchronisation to occur immediately. If you face any issues with authentication, fetch the latest source as mentioned by David in the comments section.